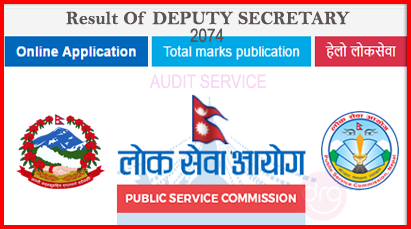 Today 20 June, 2017 [06 Aashad, 2074], Pubic Service Commission (PSC) [Lok Sewa Aayog], Central Office, Anamnagar, published the written examination results of Non-gazetted Second class, Deputy Secretary or equivalent for the post Deputy Secretary [Audit Service]. 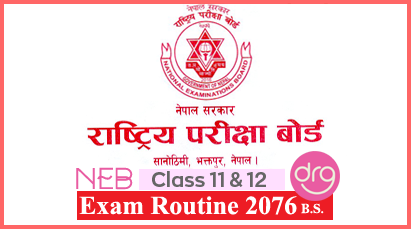 Examination was held on 20/21 Magh, 2073 [2/3 February, 2017]. Note: The selected personals are required to attend Central Office, Lok Sewa Aayog, Anamnagar sharp 11:00 am on 32 Shrawan, 2074 [16 August, 2017] for an interview. Note: Having difficulty to view the image? Just right click on image and select 'Open link in new tab' or 'Open link in new window' and then zoom it. 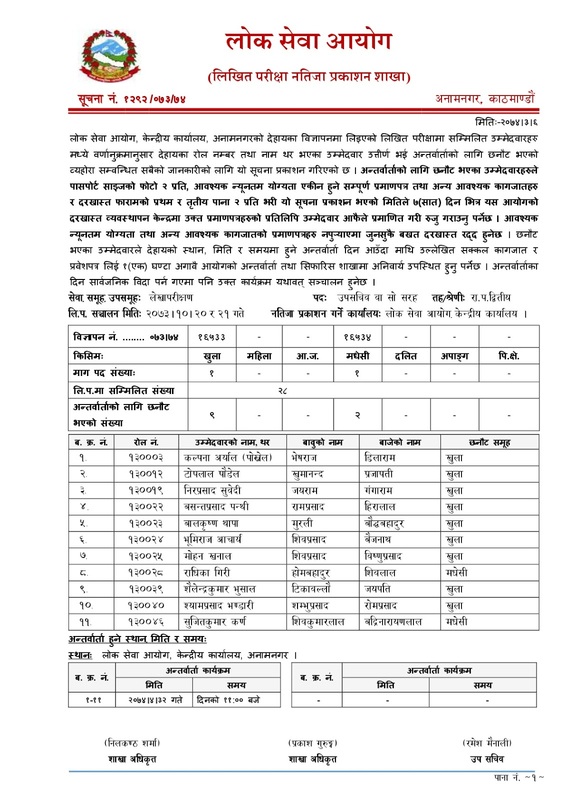 0 Response to "Result Of DEPUTY SECRETARY [Audit Service] | Written Exam 2074 | ANAMNAGAR | Lok Sewa Aayog [PSC]"